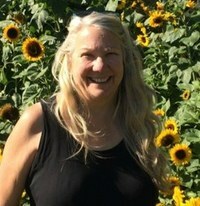 Linda Louise Layne (born Burbank, California, 1955) is an American anthropologist; she is a visiting fellow at the University of Cambridge in the Reproductive Sociology Research Group (ReproSoc). Her first book was on tribal and national identities in the Hashemite Kingdom of Jordan (Princeton University Press 1994). Linda Layne is completing an edited collection of essays by anthropologists and historians on selfishness and selflessness and working on an in-depth case study of one heterosexual American Single Mother by Choices that explores neoliberal cultures of parenting; and on a comparative study of single mothers by choice , two-mom families, two-dad families, and families that have suffered a pregnancy loss).